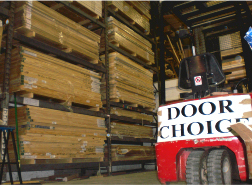 Door Choice was established in May 1997 to provide high quality timber products & services to the Irish market. Over the last decade the company has gained a city and nation-wide reputation for consistently high quality joinery with, doors, floors & stairs of very high standards. A family run business, we have come a long way from our humble beginnings on the South Circular Road, and have worked hard to gain the status that we are very proud of today. Our range of products has increased and adapted constantly to keep in line with changing tastes and fashion. Our massive list of doors has swelled to over 220 door styles in 12 different timber species. 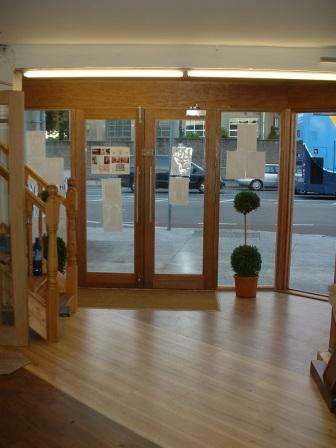 This gives us one of the largest array of doors in the Irish market. 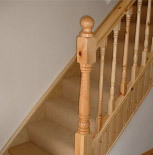 To compliment this we have an extensive collection of floors and stairs to suit every need. We actively seek out, not only high quality products, but environmental products from eco-conscience suppliers. At Door Choice we understand the role we must play to help conserve our fragile environment and are encouraging our staff members to use their initiative to come up with ways in which we can reduce our carbon footprint. One thing we pride ourselves on most of all is the skill and dedication of our craftsmen. Every project is undertaken with two goals in mind; perfection & customer satisfaction. With a combined experience of over 90yrs, our staff are more than capable of fulfilling any need you may have with a smile and a pleasant manner. Door Choice has been a member of the National Guild of Master Craftsmen for over a decade. November 2007 saw the launch of our new look website. Door Choice now has a 24 hour showrooms for its customers in an easy to use format. The website has been a superb success with an average of over 3000 visitors a month since the start of 2008. We would like to thank our past and current, public and trade customers for our continued success. Long-term relationships with suppliers and customers are the cornerstone of the Door Choice philosophy. 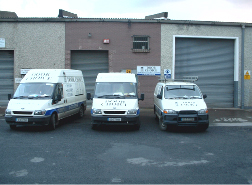 We will always welcome old and new customers with friendly advice and service, our guarantee to you. Slan a chur le duine .